Dr. Thomas Potigian is a Chiropractor in Fresno, CA that specializes in corrective Chiropractic care. Sunnyside Wellness & Chiropractic Center is committed to relieving your pain using the true principles of Chiropractic care. Our Fresno practice is equipped with modern chiropractic equipment and technology. Contact Us today and experience the Sunnyside Wellness & Chiropractic Center difference! "With over 37 years of chiropractic experience and education, I have treated many patients with conditions ranging from headaches, whiplash to scoliosis to herniated disks to infertility. I have had stunning success with these conditions and many others." Patients seeking treatment at Sunnyside Wellness & Chiropractic Center are assured of receiving only the finest quality care, because Dr. Thomas Potigian has a genuine concern for your well-being. Our chiropractic practice is conveniently located in Fresno, CA and proud to serve the surrounding areas including Clovis, CA. Chiropractic is a natural healing method most preferred by those who are looking for complementary or alternative health care to heal acute and chronic ailments. Chiropractic treatment is mainly used as an alternative pain relief for bones, cartilage, muscles, and connective tissues: such as tendons, cartilage and ligaments. Visit our own chiropractor in Fresno to experience the most effective and personal chiropractic treatment in town. Dr. Thomas Potigian is not only effective in relieving your lower back pain, headache, or treating sciatica, he will also work in partnership with you to make sure you gain optimal health and wellness as soon as possible. Our genuine dedication to providing you with the most personal care and concern, along with our tried and tested chiropractic methods, what makes us the best choice for a chiropractic treatment provider in Fresno. Our highly-trained and accommodating staff and Fresno chiropractor are ready to listen and identify the core problem right away in order to deliver the best solution that your body needs. Our Fresno chiropractor will provide you with full and clear explanations of your problems and its corresponding treatments, plus plenty of time to listen to and answer all of your questions or apprehensions regarding chiropractic treatment. At the start of your visit with our Fresno chiropractor, a thorough evaluation will be performed, including consultation, physical examination, case history, x-ray examination and laboratory analysis. You will also receive a carefully performed chiropractic structural examination, with your spine getting the most special attention. Why most people choose chiropractic treatment? Chiropractic treatment with our Fresno chiropractor does not involve, in any way, drugs or surgery. Our Fresno Chiropractor has a broad range of techniques to be able to locate, analyze and tenderly correct vertebral misalignments in the spine. Our very own Fresno chiropractor, Dr. Thomas Potigian, may employ manual adjustment, ultrasound, electrical muscular stimulation, or massage. Invasive surgery or any pharmaceutical drugs are never part of our chiropractic treatment options. Maintaining overall health is a must for everyone and a strong immune system is a big factor in achieving it, which makes chiropractic treatment with our Fresno Chiropractor very beneficial choice. Our chiropractor in Fresno can identify and correct serious stress in your nervous system and then strengthen the muscles surrounding it in order to relieve the pain. Helping you manage your pain will bring good results in increasing your range of movement especially when you are recovering from an accident or injury. Our Fresno chiropractor, Dr. Thomas Potigian, will walk you through in finding the right set of exercises that can continually help you in getting back the most, if not all, of the range of movements you had prior to your accident or injury. What makes our chiropractor in Fresno special? Our chiropractor in Fresno definitely recognizes the extreme importance of the proper chiropractic treatment protocols. This is because he was able to undergo extensive training and is highly invested in the wellness of his every patient. Our welcoming chiropractic clinic at Fresno, California staff and highly skilled chiropractor in Fresno own the latest techniques and methods in the field. Our chiropractic procedures can most effectively restructure your spine to reach its most stable and optimum position. At your first visit, the primary goal of our Fresno chiropractor will be to relieve any of your pain or symptoms in the most natural alternative possible. Our overall goal is to efficiently restore your health without needing a cutting knife or a pill. We proudly serve patients from Fresno CA, Clovis CA, Sanger CA, Madera CA, Fowler CA, Selma CA, and Kerman CA. Follow us onGoogle + . Visit our Fresno Chiropractic Office. We specialize in chiropractic, pain relief & rehabilitation. Call our Fresno Chiropractor Today at (559) 454-1000 for a Free Consultation. Dr. Potigian has been freeing people from pain since 1980 in his clinic in Fresno, CA. 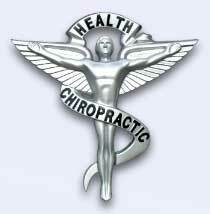 As a Chiropractor with experience, our professionals are committed to promoting the health and well being of his patients.